TERM OF CONTRACT: Cancel By Owner will continue to assist you in negotiating the release or termination of your timeshare contract(s) until resolution or completion. TERMINATION OF CONTRACT: The CUSTOMER may give notice of cancellation to Cancel By Owner in writing within 3 business days after receipt of the signed service agreement. 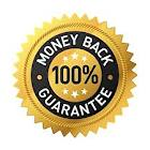 REFUND POLICY:Should Cancel By Owner not secure the termination,rescission, release or settlement terms of cancellation within 24 months of the date of this agreement (providing the CUSTOMER has fulfilled their responsibilities) Cancel By Owner will refund 100% of your money. CUSTOMER agrees to cooperate fully and completely with Cancel By Owner. DISCLAIMER:Cancel By Owner has not, does not, and will not represent itself as a law firm. Cancel By Owner is a document preparation and assistance company providing products and services to help victims of fraud within the timeshare industry. Advice given by Cancel By Owner and any of its affiliates is not or should not be taken as legal advice. If you feel the need for legal advice or legal services, please consult an attorney in your area.